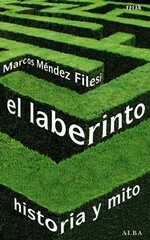 Marcos Méndez Filesi, researcher, writer and screenwriter, is the author of the book The Labyrinth, history and legend (originaly Spanish titled El laberinto, historia y mito, edited by Alba Editorial). "In 2009 I met Trionfi.com and found out, thanks to Huck Meyer, that historical studies about Tarot can be raised without Egyptians, wizards or martial (or alien) concepts." Afterwards, Marcos was invited to join the forum of Tarothistory.com, where he attemted to become understandable with, as he calls it, his own prehistoric English - and this with healthy happiness, especially about Paul, the divining octopus from Oberhausen. At present, he still is writing a book about the Tarot.